Elder Ryan Bell Texas Houston Mission: Hearken! Oh my goodness, you people! Hearken! For I have much to tell this week. You know those weeks that are just mind-blowingly crazy? Not the kind that are too good to be true or the kind that are so depressing you just want to sleep forever; but just the kind where you laugh yourself into beautiful, hysterical bliss as someone puts you in a straightjacket and takes you away. So earlier this week, on Monday, Elder Kuila wanted to go to GNC for some protein powder. Then randomly as we pulled in the parking lot, he decided that he no longer wanted to go there and went into Big Lots! instead. While we were checking out with our prized possessions at Big Lots! One of the cashiers started asking Elder Kuila what company he worked for. I got to watch proudly as my man, Elder Kuila talked to a cashier named Shanique (Not Sha-knee-Qwa) about the Church, got her information, and she expressed her interest. It was awesome! He was floored afterwards and misattributed his excitement to wanting to marry Shanique. (Another trademark of polynesians). Then, on Tuesday, we went to do some community service for a Christian Store (similar to the D.I.) and were reorganizing a CD shelf, while looking through the CD's of course. I pulled out all the Enya ones and the Jurassic Park soundtrack and determined to buy them. Then Elder Kuila gives me the greatest thing that ever could have happened to me- a CD from my wife, Selena Gomez. It was her Kiss & Tell CD. That made me whole week! I bought them all! Then on Wednesday, we went to meet with a less-active young man named Chad who is 19 and preparing (Hopefully) for a mission. We have been reading the Book of Mormon with him for a couple of weeks and at the end, we always invite him to say the closing prayer. Of course he does, as he was raised in the Church and is very good at giving quick prayers as we all are. We had just told him to ask to know if the Book of Mormon is true in his prayer. 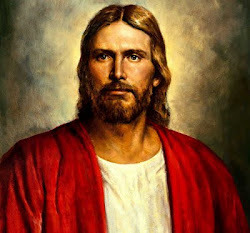 He gave the same prayer he always did, completely ommitting what we had asked him to pray for- "Dear Heavenly Father, thank you for this day, thank you for our blessings, thank you that the missionaries could come over, please help everyone, in the name..... amen." While we were still kneeling we said, "That was a great prayer, but try it again and this time ask SPECIFICALLY if the Book of Mormon is true." He was a little thrown off by that, but nonetheless, he agreed and started a second prayer much different than the first. "Dear Heavenly Father........ I......I want to...........will you just......."
It was beautifully awkward. There was a completely different feeling in this second prayer. It was sincere, it was genuine; he was talking to Heavenly Father and He, in turn was speaking back. It was not eloquent, in fact, children often pray more smoothly than he did. But in this prayer, he got it right! He awkwardly asked Heavenly Father, stumbling over his words if the Book of Mormon was true. After he said "amen" we all just sat there kneeling in silence. Then, Chad broke it when he said softly, "I felt something." "Something I haven't felt in a long time." We had many other miracles, miraculously met and taught two new investigators, went to Baskin Robins for the first time in over a year, found a new restaurant, got an awesome box with a SWEET little digital picture frame, and got to have Elder Ballard come to our mission. It was a week.... a week in TEXAS!